Along with picking out its favorite production realities, the folks at GM dug through its portfolio and selected their top ten concept cars of the past 100 years. 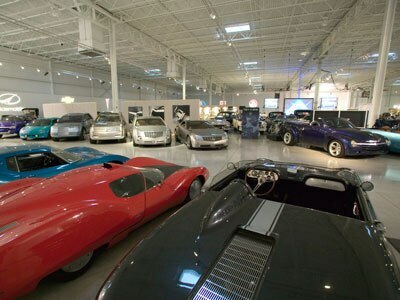 ; Here are the cars it deemed worthy of such a title. Why wouldn’t GM love the Volt? 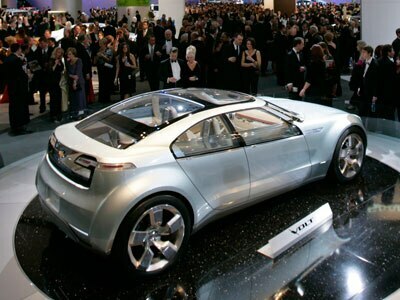 ; The PR darling of the 2007 Detroit auto show has quickly transformed itself in to GM’s future. ; Demand for the plug-in hybrid proved to be strong enough to warrant pushing it into production by 2010.; Just don’t expect the production car to look exactly like the concept. Unlike most concepts, the AUTOnomy’s most important features isn’t its styling, but its chassis. 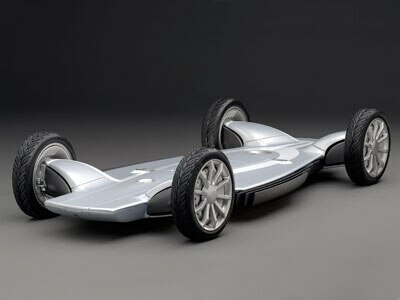 ; The ‘Skateboard’ platform supposedly could house every component required for a fuel cell vehicle (i.e. batteries, tanks, fuel cell stack), allowing the possibility of interchangeable bodies. ; The idea is a long ways away from reality, but think of how using one common chassis – for all vehicles – would change the automotive industry. While the idea and funding came directly from GM, the engineering behind the Impact show car didn’t. ; Built and designed mostly by AeroVironment, a small group of engineers in California, the Impact was still the most viable electric car idea GM had ever fielded. 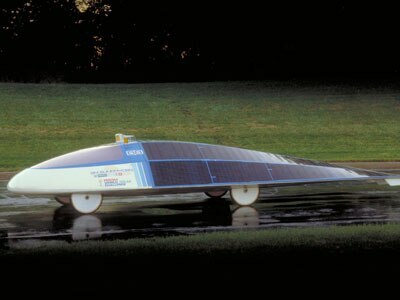 Much of the inspiration for the Impact stemmed from GM’s involvement with the Sunraycer, a solar-powered race car built in collaboration with Hughes Electronics and AeroVironment. ; The car ended up winning the World Solar Challenge in Australia, and eventually set a long-standing speed record for solar-powered vehicles. Yes, it’s a four-door. 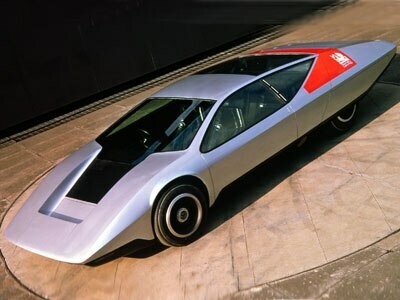 ; This slim wedge, designed by Wayne Cherry, was unveiled at the 1970 London motor show as an experiment in aerodynamics. ; Measuring only 41 inches tall, the SRV used electrically-adjustable rear suspension, an adjustable front spoiler, and could transfer fuel between two tanks to adjust weight distribution. We love it when designers create something beautiful with a concept car, but we’re thrilled when the design crosses into production with little change. ; Although it took four years to do so, the design of the Experimental GT (foreground) differed little from the production 1969 GT. 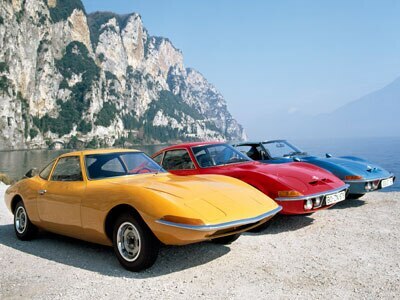 ; The little coupe, looking remarkably similar to the 1969 Corvette, was built upon the chassis of the pedestrian Kadett sedan, with which it shared a 1.9-liter I-4. 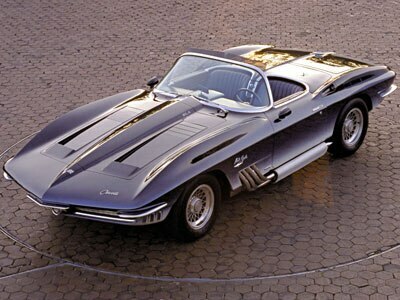 Although it built upon the design of Bill Mitchell’s Stingray SS racer of 1959, legend has it much of the XP-755’s design (and color) were inspired by a shark Mitchell caught while on vacation. ; Shark cues, including a pointed nose and gills, were nicely integrated into the car, while a 425-hp, aluminum-block 454-cu.in V-8 (better known as the ZL-1) lurked underhood. 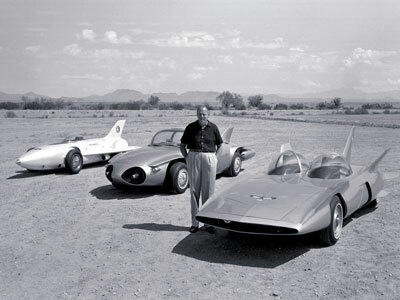 Although all three cars were collaborations between GM’s Design Studios and Research Laboratories, it was a chance meeting between Harley Earl and Bill Turunen that sparked the birth of the Firebird series. ; Learning of Earl’s Firebird 1 design – and the possibility of it using a Boeing jet engine, Turunen and his team began work on a series of gas turbine motors for passenger car applications. ; Other R&D features were tested on the cars: Firebird 1 featured disc brakes and four-wheel independent suspension, Firebird II could drive itself on specially-prepared roadways, and Firebird III featured a single joystick to control all driving motions. Although it drew inspiration from the F86 jet fighter, the LeSabre wasn’t powered by the exotic engines found in the Firebirds. ; Instead, it used a supercharged 215-cu-in. V-8 with an interesting flex-fuel set-up using two carburetors. 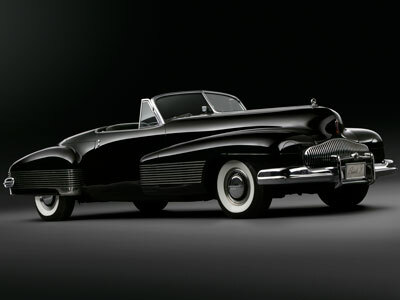 ; One carb sucked in normal gasoline for low-speed driving, while another used methanol for that extra performance ‘kick.’; Other interesting features included air brakes and a power top that raised itself when it sensed rain. 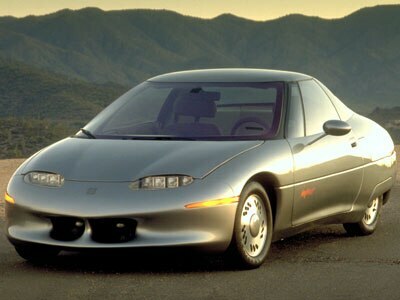 No list of notable concept cars – GM or otherwise – is complete without mention of the Y Job. 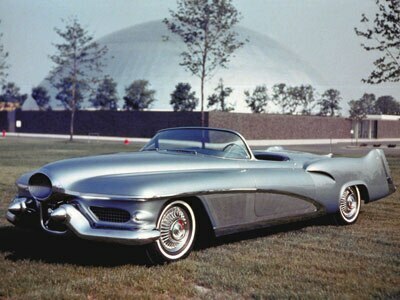 ; Crafted by Harley Earl, the Y Job was essentially the first show car, a test of the car’s styling, not engineering. ; The car still looks elegant today – hidden headlamps clean up the front fascia, while a metal tonneau cover spiffs up the rear quarters.